You gotta give Tommy Wiseau credit. The cryptic, mysterious creator of cult favourite and oft-described ‘best worst movie ever’, The Room, has managed to parlay an initial ironic love for his—to put it charitably—‘formally experimental’ film into a mini-industry that includes a semi-permanent residence of The Room at cult cinemas around the world, a Hollywood account of the movie’s creation, as well as a personal omnipresence in online pop culture circles. Say whatever else you want about the (hu? )man, but he can certainly hustle. We’re Tommy Wiseau and Greg Sestero. You might know us as the creators and stars of THE ROOM as well as our first film together in 15 years, BEST F(R)IENDS (Volume 1 available worldwide on iTunes today) ! We are also the inspirations behind the Oscar nominated film THE DISASTER ARTIST. Ask Us Anything and we’ll be back at 1pm PDT to answer! HAVE FUNNN ! EDIT 2:09pm: THANK YOU EVERYONE FOR YOUR QUESTIONS !!! See you NEXT TIME!!! Get Best Friends!! Comment from discussion Oh, hi Reddit ! 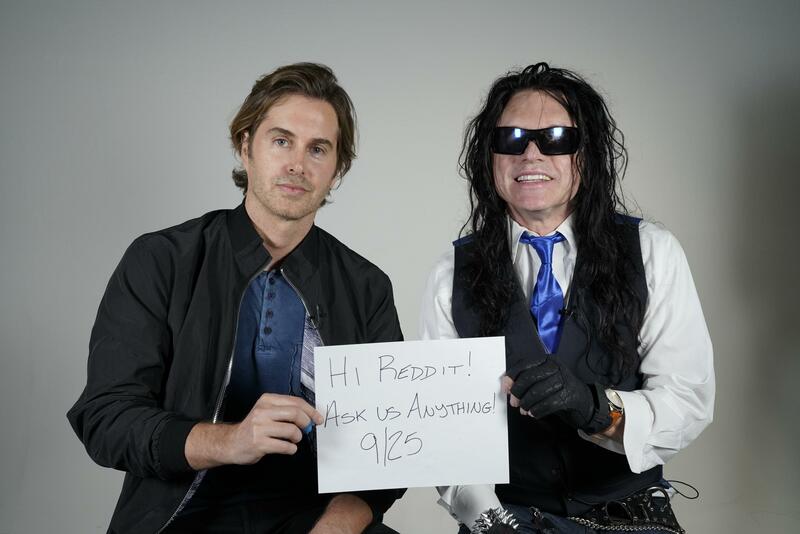 We are Tommy Wiseau ＆ Greg Sestero, creators and stars of BEST F(R)IENDS and THE ROOM. Ask Us Anything!.